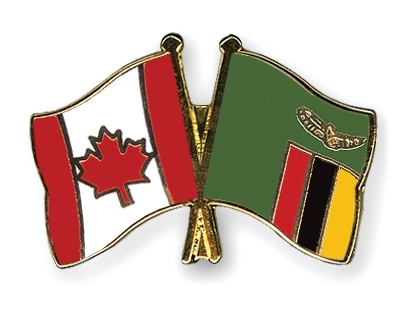 Bob and Marilyn Gregory, of Hawkestone, Ontario, Canada, moved to Livingstone, Zambia in January 2009 to establish a unique self-sustaining NGO that preserves and promotes Zambian culture while providing employment and funds to local residents. Livingstone, is located only 10 km from Victoria Falls, one of the one of the seven natural wonders of the world. It is the tourist capital of Zambia, attracting over 500,000 visitors per year from all over the world. Several large resorts already exist and more are being built. Capitalizing on the tourist market, the Livingstone Performing Arts Foundation (LiPAF) was established to generate revenue from ticket sales from its theatre performances, which is then used to employ people in the arts, sponsor orphan children in school, support several school and children’s sports programs, and assist needy families. The Livingstone Performing Arts Foundation was conceived in November 2006, and after several years of hard work, the dream is now a reality. In January 2009, over 120 residents of Zambia were auditioned which resulted in 16 actors being hired for the first show entitled “African Shoes”. On March 17, four musician were also hired along with a stage manager. Following three months of rehearsals “African Shoes” opened at the end of May with two performances each week at the Zambezi Sun Resort. In August, a second show was added which celebrates the diverse culture of Zambia through dance, song, music and ceremonies. “Dancing Around Zambia” was performed at numerous resorts before the Gregory’s decided to open their own cultural complex called the Arts Cafe. The Arts Cafe has a bar and restaurant, an art gallery, artisan workshops, and a theatre to house the LiPAF shows. To date, LiPAF has kept over twenty people employed and has supported many community projects. They are sponsoring twenty-eight orphan children in school, have installed a borehole to bring fresh water to a local school, have opened a computer lab and library at Linda West Basic School, donated footballs and uniforms for a children’s football academy, and assisted many needy families. 1. To operate a not-for-profit Foundation. 2. To promote the rich cultural diversity existing in Zambia and the Kavango-Zambezi region. 3. To promote the city of Livingstone, the country of Zambia, and the region of Kavango-Zambezi, as a tourist destination. 4. To provide employment for local residents. 6. To assist in the promotion and expansion of the service related industry (restaurants, merchants, etc.). 7. To cooperate with other community-based groups within the Livingstone district. 8. To improve and enhance the educational aspect of the city library. 9. To provide music programs in local schools.